Dr. Bill Crawford is a Research Scientist with Fisheries and Oceans Canada at the Institute of Ocean Sciences (IOS) in Sidney BC, and Adjunct Professor in the School of Earth and Ocean Sciences of the University of Victoria. His interest in "oceans" began at the University of Waterloo with his M. A. Sc. studies of cooling water discharge into Lake Huron from Canada's first nuclear power station. Following a Ph. D. in physics and oceanography at UBC, he joined the Canadian Hydrographic Service at IOS to study ocean tides and currents. After 25 years with CHS he moved 50 metres along the hallway of IOS into the Ocean Sciences Section, where he now heads the State of the Ocean Section. 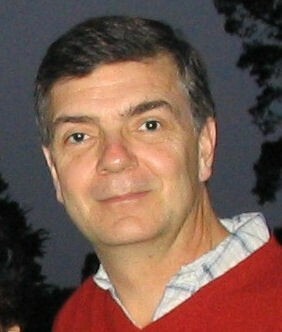 Dr. Crawford is a 30-year member of CMOS and served as oceanographic editor of Atmosphere-Ocean from 1989 to 1992, and as associate editor for 8 years. He was awarded the CMOS Prize in Applied Oceanography for 2007. He has spent more than a year of his life on research vessels, beginning with ocean turbulence studies in equatorial Atlantic and Pacific, then fifteen years in waters of British Columbia. In 2008 he participated in a cruise from Victoria to Point Barrow in Alaska as part of Canada's Three Oceans program of the International Polar Year. His role in ocean research is always as an observer, using traditional and new tools to determine ocean processes. He notes that a research project 30 years ago comprised several instruments and scientists on a single cruise. Today's programs include measurements by many more sensors and scientists crossing several disciplines, with much more reliance on autonomous and satellite measurements and far fewer scientists at sea. The links between numerical modellers and observers are now more valuable and rewarding. He co-edits DFO's Pacific Region's State of the Ocean Report , a synthesis of ocean science and fish observations updated every year, and leads the DFO National Centre of Expertise on State of the Ocean Reporting.